Fact about mars, earth and space. 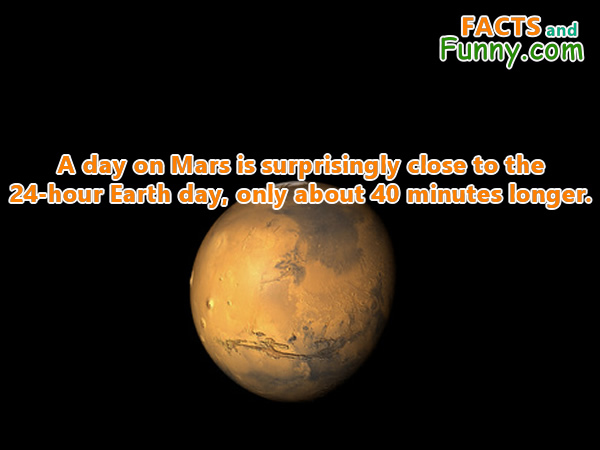 Interesting fact about mars, earth & space. A day on Mars is surprisingly close to the 24-hour Earth day, only about 40 minutes longer.